The Ethiopian Space Science and Technology Institute (ESSTI), in collaboration with the Ethiopian Space Science Society (ESSS), East Africa Regional office of Astronomy for development (EA-ROAD) and the International Astronomical Union (IAU) have celebrated the IAU 100 Hours of Astronomy Celebration. A world-wide event celebrated from January 10 to 14th, 2019, the event is one of many others planned to commemorate the establishment of the International Astronomical Union on July 28, 1919 in Brussels, Belgium. The Institute had won a 90-mm aperture Bresser refractor telescope signed by six renowned astronauts with a custom-made stand from the IAU and the Leiden Observatory. The Department of Astronomy and Astrophysics under ESSTI organised a 3-day long celebration in Addis Ababa starting Friday January 11th with this prize telescope as the centre of every event. The series of events consisted of various programmes in which the telescope was taken to some schools and shown to students. This telescope and several others from the Society were utilised for the looking at the moon and some of the brightest stars in the Addis evening sky over the weekend. The programme was kicked off on Friday with the arrival of visiting students from the Department of Physics, Dilla University and junior secondary school students from School of Tomorrow. Presentations about the activities of the Institute were given to the visitors, followed by a special exhibition and displayed comprising of telescopes, a couple of models of our solar system, tactile kits of Venus and the moon, and other visual demonstration materials. Student freely engaged with the organisers and the presented material, and an open discussion platform was created for them to raise any questions and discuss matters related with astronomy including future career decisions. Once they had gone through the exhibition, they were escorted to the Entoto Observatory and Research Centre where they visited the two 1-meter telescopes housed under the domes of the observatory, as part of the special visit programmes which the observatory has hosted since its establishment in 2013. In the afternoon, the display was taken to the Menelik Primary School where many young children surrounded the telescopes and avidly awaited turns to catch a glimpse of some of the buildings and telecom towers in the scene of the eyepieces. They had the opportunity to see close-up how the planets revolve around the sun, and what the surface of Venus and the moon feel like. The programmes were designed to be inclusive, thanks to the suggestions of Mr. Alemiye Mamo and Dr. Mirjana Pović, and this meant that students with all kinds of disability were able to actively participate in the programme. On Saturday, the organisers travelled to Cruz Academy to give a public lecture titled “The Universe We Live In”. The exhibition was set up and dozens of students from the Aeronautics and Space Science Club came to the display items to freely interact with the materials and the organisers. The evening saw one of the most important programmes of the itinerary, which was to take the telescopes right in front of the street where the ESSTI head office was located and to invites passers-by to gaze at the moon through the eyepiece of the telescopes. Many members of the public did stop and pause to see the moon and its craters, and were very much surprised and impressed by what they saw. Almost all of them had a flood of questions about the night sky and the objects they saw with the telescopes, and the organisers in close collaboration with volunteers from the Society did their best to give adequate replies. Sunday evening came with another round of star gazing. A large crowd had already gathered by the telescopes when they were being unloaded from the cars. The evening started with the organisers stating briefly what the programme is and what the IAU 100 Hours of Astronomy is all about. The solar system was then given a thorough visit for the benefit of those present in the form of short descriptions about each member and recent developments regarding the study of the solar system. The star gazing commenced right after this with many from different walks of life coming to appreciate the view of the moon afforded by a simple telescope. The organisers took time to engage with as many visitors as possible and to discuss topics of interest to the star gazers. The event was thus conducted and concluded after a very successful three-day run. In conclusion, the event provided the perfect platform to give all members of Society the chance to come and look at the activities of the Institute, the Society, and the Union. The activities have given exposure to the recent developments which have taken place in the space science and technology sector in Ethiopia-including the official ratification of the Ethiopian Space Science Policy by the Council of Ministers-under the leadership of ESSTI and with the committed involvement of the Society. 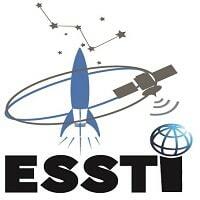 This kind of events are expected to be ideal media for public outreach activities and tasks various departments under ESSTI plan to use in order to create awareness about space science and its manifold benefits to the society at large. The Ethiopian Space Science and Technology Institute would like to thank the International Astronomical Union and the Leiden Observatory-Leiden University for the telescope support which has made all of these activities possible, and 100 hours coordinator Bethany Dower for her unlimited assistance . Finally the Institute would like to extend its appreciation and thank ESSS, EA-ROAD, Kotebe Metropolitan University(KMU) Physics department, staff of Astronomy and Astrophysics Department of ESSTI, ESSS staff, volunteers and all participated in organizing 100 hours and made it successful.